Sultan, an upcoming movie by a leading Bollywood star, Salman Khan, is about one wrestler’s torturous journey to fame and success. And in real (not reel) life, Sultan’s director of photography is Artur Żurawski, who has also come a long way from being a little-known photographer to a professional working with some of the best known people in Hindi cinema. Until then Żurawski, a graduate of the famed National Film School in Łódź was largely unknown outside the country but he had already worked on a number of projects (most of them TV series and documentaries) and had worked with animation even before attending the film school. And his career had had an auspicious start. Żurawski comes from the town of Chojna near Szczecin in north-western Poland and in 1991 by “a lucky coincidence a so far little known Danish director named Lars” chose exactly that city to shoot a part of his movie. Yes, it was no other than Lars von Trier who was then making his Europa and this is how Żurawski got his first movie stint. 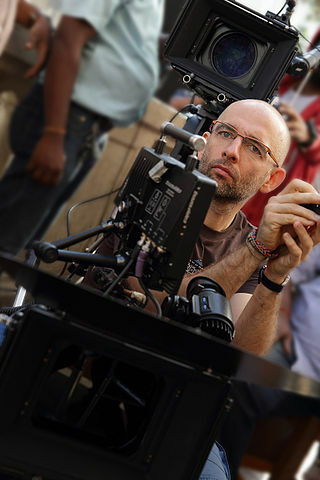 Therefore, Żurawski’s career has been at least twice linked to a foreigner choosing a place in Poland, one 20 years later after the first: Lars Trier with Europa (1991) and Prasant Chadha with Aazaan (2011). His second engagement with Bollywood – this time as the main and only director of photography – was Kazaid Gustad’s Jackpot (2013). (Żurawski also shot an advertisement for the Bank of India.) But the real breakthrough came with Pradeep Sarkar’s Mardaani (2014), a gripping tale of a policewoman tracking the human trafficking mafia. His engagement with the film paved the way for it to come to Poland: Its premiere in Warsaw was graced by the presence of Rani Mukerji (who played the police officer), the first Bollywood star to attend a premiere in Poland. His journey to South Asia delivered experience and not a little awe, although it was also marked by struggling with man-made (rather than technical) differences from that which he had been accustomed to in Europe. In his interviews Żurawski admitted to at first having a hard time coping with the intensity of India: its crowds and noisiness. On the other hand, he was impressed by Indian patriotism and the idea of playing the national anthem before the movie. Yet, he also considers his work with Indians to be a very important lesson: For instance, during the making of Mardaani he had to conduct the shooting of the scenes originally scheduled for the day during the night time. One of Żurawski’s touches to the movie was toning down the number of colors and costumes used, therefore making not only the story, but also its background, darker. And, as photography is also his personal passion, he must find the scenery of India particularly attracting and rewarding, as it is for most photographers. His website is now adorned with a picture of a river encompassing a hazy forest somewhere in the Indian state of Punjab. Yash Raj Films, the company that produced Mardaani, was pleased with Żurawski’s work and this time asked him to take part in a big-ticket production: Sultan. The leading role will be played by Salman Khan, Bollywood’s muscled celebrity, who specialises in playing villain-bashing good guys. (As it happens, one of Khan’s recent movies, Kick, also partially featured Poland.) While with Mardaani’s storyline it made sense to go soft on colors, one can expect Sultan to be all-out Bollywood stunner with swirling dancing scenes and a diverse background for heroes’ struggles. These are the canvas which many Indian directors of photography are accustomed to and it is therefore uncommon to hire a European to direct this kind of shoot. Just like with Mardaani, Żurawski’s work on Sultan promises to be a new approach towards the typical Bollywood style. The Polish director’s case points to a somewhat broader process: foreign professionals increasingly being hired for Indian movie productions. Some of the other examples are the Japanese national Keiko Nakahara, who directed photography of Mary Kom, and Greek Nikos Andritsakis who shot Ugly, Shanghai and Detective Byomkesh Bakshyi!